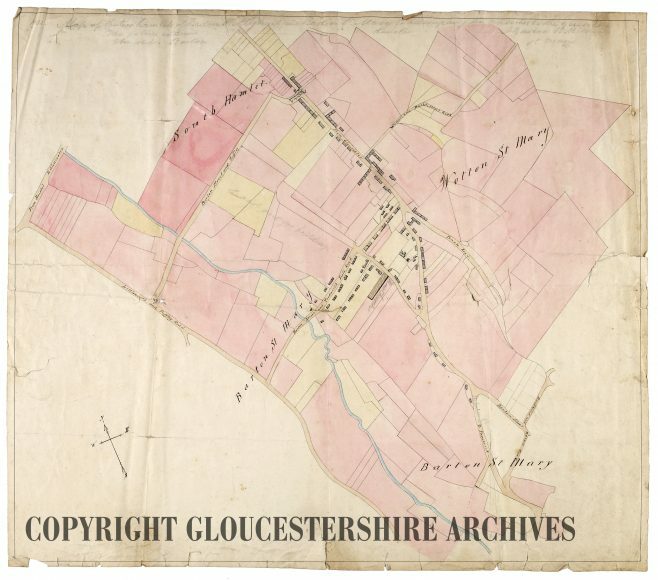 The first two maps, dating from 1842, were created to illustrate the area covered by the parish Church of St James, before All Saints parish was created. 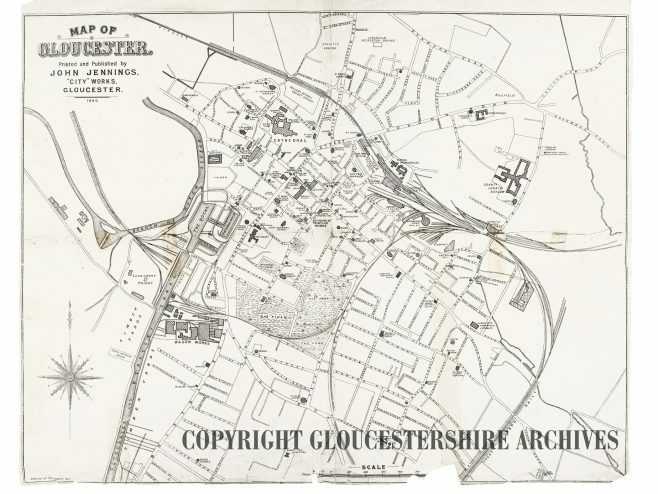 The original maps are available to view at Gloucestershire Archives under the reference number P154/8/IN3/1. Click on the images for a larger version. You can use the magnifying glass on the larger version to hover over sections of interest and click with your left mouse button to see an even larger scale image of your chosen area. The following two maps were both published by John Jennings, the printers and publishers based at City Works in Alfred St. 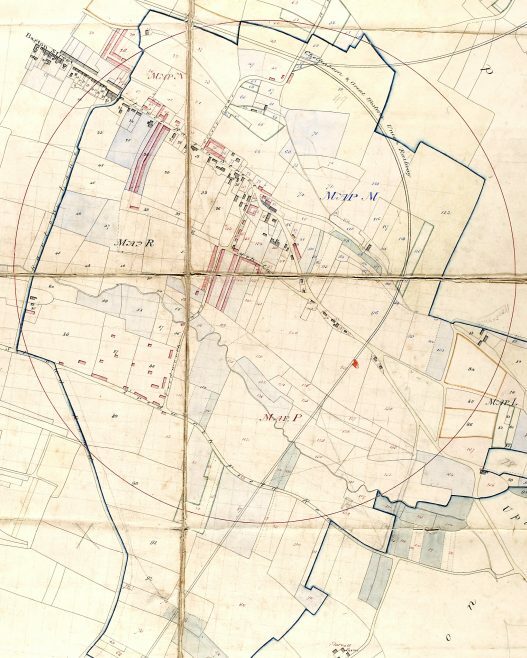 The first, black and white, map dates from 1895. It shows various locations in Tredworth, including St James’ Church and Tredworth Board Schools. Note that half of what we now call Tredworth High St is named Barton Terrace. The Archives’ reference for this map is SR Prints/GL65/23. 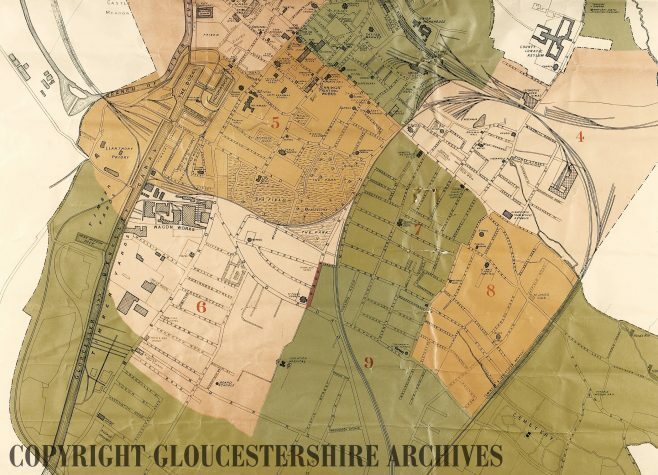 You can search Gloucestershire Archives’ online catalogue to find out more about the items held at the Archives. Sorry, I must have got distracted from this and forgotten to remember, but that image looks fine now. Hi Joe I’ve had to replace this particular image with another version of it, which works on my PC. Try it out and let me know if it’s still problematic. Hi Joe Try the images of the other maps now. I’ve altered the settings, so they should enlarge in the same way as the top map. I’d only just noticed this, as the problems with the message board occupied my attention. The first map was very interesting, but the other three don’t seem to enlarge in the same way, sadly. I hope I’ll find the other pictures that were promised during the walkabout, like the one of the locomotive where Tredworth Rd meets Stroud Rd, at the surgeries.